Banks that offer the largest number of e-services outperform those that ignore this type of banking, the Business News Index of Best Retail Bank revealed. 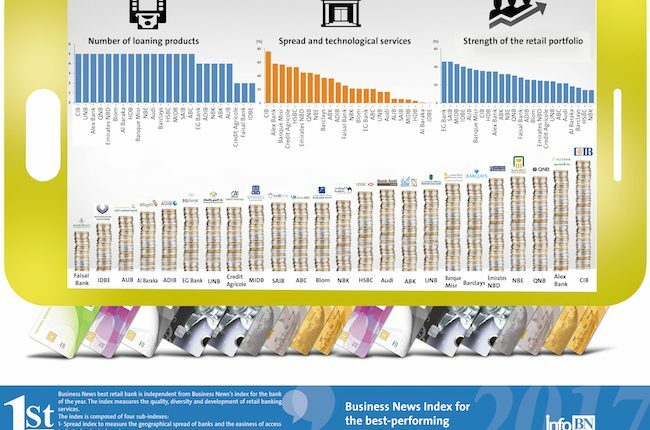 The Best Retail Bank Index depends on the number of e-services for individuals at banks and the quality of transactions carried out through these services. It also measures the geographical spread, the number of loan products, and the volume of individual loan portfolios compared to total portfolios in banks, as well as wealth management services. The Commercial International Bank (CIB) topped the Business News index for best retail bank for the second year in a row, followed by the National Bank of Egypt (NBE), which has the largest spread of ATMs in Egypt and the largest market share of individual transactions. According to the index, the Housing and Development Bank (HDB) allocates the largest part of its loans to individuals, amounting to 61% of total loans, followed by the Bank of Alexandria, which allocates 43%. The banks with small individual loan portfolios have achieved high growth rates of almost 200% in 2016. 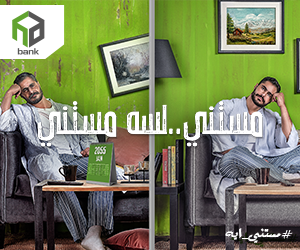 Ahli United Bank topped the list of fastest-growing banks in individual loans, according to Business News indexes. The bank’s individual loan portfolio reached EGP 1.98bn at the end of December 2016, compared to EGP 675bn at the end of 2015, with a growth rate of 193%. Misr Iran Development Bank (MIDB) came in second place, achieving a growth rate of 191.6%, with an individual loan portfolio of EGP 570m, compared to EGP 196m last year. The Saudi Investment Bank (SAIB) was the third fastest growing bank in individual loans, at a growth rate of 160.6%, bringing its total portfolio to EGP 4.14bn, compared to EGP 1.58bn. The Egyptian Gulf Bank (EGB) came in fourth place in terms of individual loans, with a growth rate of 104.6% as its portfolio reached EGP 2.53bn, compared to EGP 1.23bn. Banque Misr grew by 54.81%, ranking fifth on the list of fastest-growing banks in individual loans, with a total portfolio of EGP 16.08bn, compared to EGP 10.38bn last year. The National Bank of Kuwait was the sixth fastest growing bank, with a growth rate of 52.54%, reaching EGP 1.96bn, compared to EGP 1.28bn. The banking sector faced many challenges in terms of individual loans due to the Central Bank of Egypt’s (CBE) regulations issued last year, obliging banks to limit the total instalments of a loan to only 35% of a customer’s monthly income. In addition, high inflation rates affected customers’ ability to bear the burden of the debt. However, most banks seek to overcome these challenges by expanding their base of individual customers through offering diverse products and technological programmes. The effects of these challenges have been further reflected in the growth rates of banks with large individual loan portfolios. The growth rate of the retail portfolio in the NBE, the largest bank in this sector, was 20.1%, reaching EGP 38.1bn at the end of 2016 compared to EGP 31.5bn at the end of the 2015. The growth rate of the retail portfolio in the CIB, the largest private bank, was 28%, with a portfolio of EGP 15.9bn at the end of 2016, compared to EGP 11.9bn in 2015. Barclays’ individual loans growth declined by 2.69%, as its total portfolio fell to EGP 2.208bn at the end of 2016, compared to EGP 2.269bn at the end of 2015. On the other hand, the banks competed last year in providing technological services and products, such as Internet banking, in order to reach new segments of customers and maintain their customer base. The banks seek to strengthen their technological infrastructure in conjunction with the geographical spread despite its high cost and the importance of providing high security and confidentiality of data. However, this service will lead to fewer expenses in comparison to traditional branches. There are 18 banks out of a total of 24 monitored by Business News that offer Internet banking services. There are only nine banks that offer online banking transactions, including Qatar National Bank (QNB), Alexandria Bank, EGB, Abu Dhabi Islamic Bank, NBK, Barclays, and Blom, while the SAIB has provided online inquiries for the first time last year. Only eight banks have obtained mobile banking licences, which allows the transfer of up to EGP 500 via mobile phones. There are five service banks that offered the full service, including the CIB, Alexandria, Credit Agricole, Emirates NBD, and Audi Bank, while Faisal Islamic Bank, Banque Misr, and the NBE limited their mobile services to inquiries only. The expansion of the e-wallet service was slow, as only four banks offered the service last year, namely the NBE, the CIB, Bank of Alexandria, and Banque Misr. Banks operating in Egypt face many obstacles that force them to expand in traditional branches rather than relying on technology, mainly the dominance of the cash culture, which amounts to 97% of all transactions done in Egypt, according to Tamer Al Kashef, the regional manager of Mastercard.